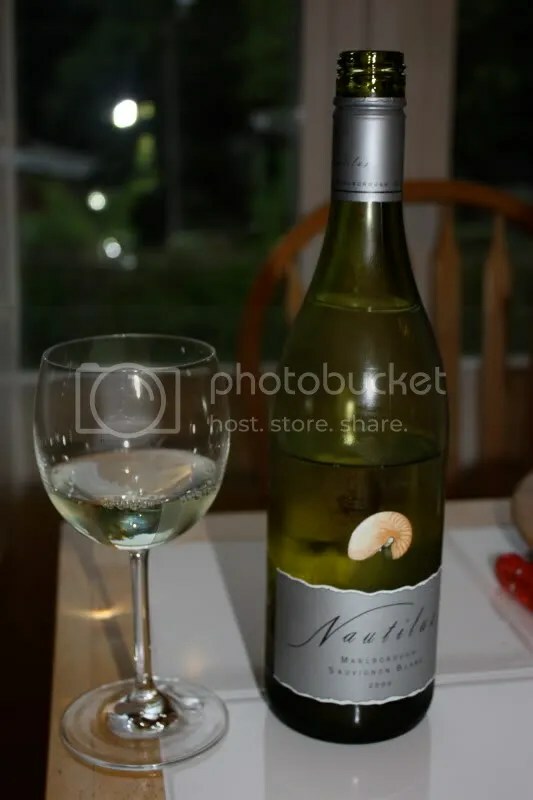 I guess it must have been about a month ago (yikes, I’m a little behind here…) I joined my fellow winos for a Taste Live event exploring Nautilus Wines from Marlborough. 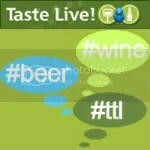 Color me excited, I love wine from New Zealand, especially Sauvignon Blanc. And lucky me, up first for the night was a Sauvignon Blanc! 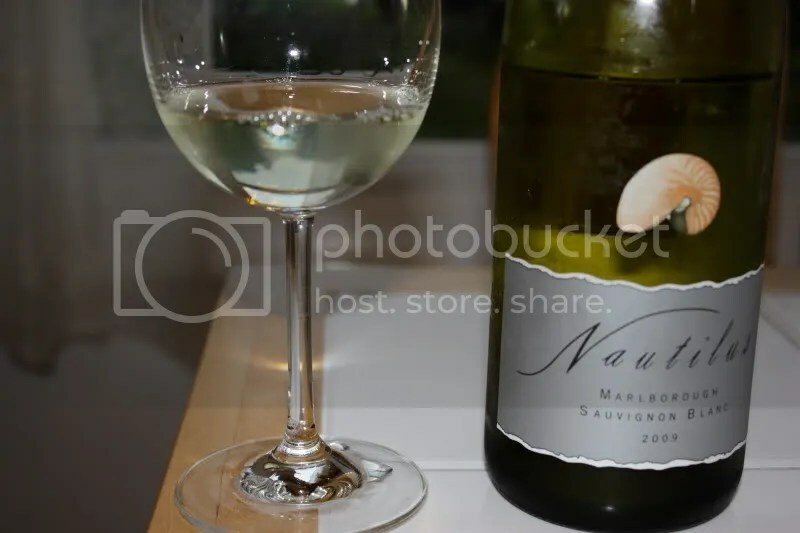 We tried the 2009 Nautilus Sauvignon Blanc. It had a screw cap closure, looks to retail for about $15, and clocked in at 13.5% alcohol by volume. On the nose I got herbal notes, white grapefruit, lime, kiwi, and some other tropical fruit notes hiding below the citrus. In the mouth I found lime, grapefruit, kiwi, and tropical fruit. Basically everything I got on the nose except the herbs. I thought the wine had good acidity but definitely stayed away from the lip-puckering side of things.